After resolving the “device is not open” error, I got this “SDSocket closed” error. This is how I fixed it. Just a quick post to help in case you come across this Bacula error “device is not open” when trying to do a backup job. Information technology is the empowering force behind any modern business. The IT departments of these businesses consist of the technicians that keep this force up and running. But the IT department isn’t always immediately aware of problems as soon as they arise. The rest of the business needs to be able to give performance feedback. And the best method of this feedback is through help desk software. The 750 typically boots from CD-ROM, hard drive, or PXE boot. But with a quick trip to the BIOS, you can also boot from USB. I pulled another Dell PowerEdge 750 out of the graveyard this morning. This was the first one that showed this error, though: Adaptor at baseport xxxx not responding. The baseport number will vary from machine to machine, but the problem is invariably the same: you have a PCI card that is not working. It turns out it wasn’t a problem peculiar to Invenio. 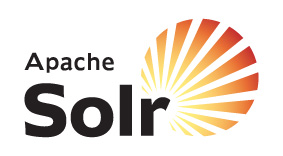 Any Python script anywhere trying to import solr was getting this error. Yet once again, there’s an easy solution. 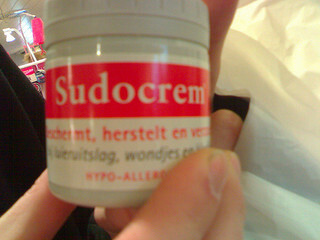 Sudo is broken — maybe you need some “sudo crem”? Permissions and ownership is a perpetual learning process for beginner Linux administrators. There are quite a few things you need to use superuser privileges for in your everyday administration. But let’s say, for instance, you broke your /etc/sudoers file (like I did) and now sudo is broken. What do you do then? The boss recently tasked me and the other guy with creating a digital document repository to store all of his and his colleagues’ research papers. Of the various options available, Invenio seemed like a good choice, so I built a development site to see if we could get it to work with our system. One of the most important factors in determining whether this would work for us or not is LDAPS support. Because of the sensitive data that the firm works with, the “S” is very important. After a couple of hours of sifting through Python scripts, I finally figured out how to add LDAPS to Invenio. I don’t know why I thought using the Percona MySQL server was a good idea. 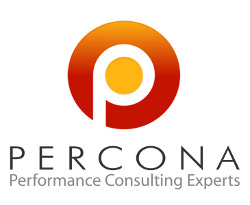 I was going through the Ubuntu Server Guide and saw the Percona configuration tool. I should have known better than to keep pursuing this “enhancement” when the configuration file didn’t work. But I didn’t, and after a few weeks of fighting it, I decided to go back to the plain Jane MySQL server distributed through the Ubuntu repositories. Reverting to the standard MySQL server turned out to be easier said than done. The Percona enhancement fights tooth and nail to keep running on your system, but there’s a simple way to kill it.